The Pirastro 423421 Synoxa Viola C String is ideal for musicians developing their style. The string features a synthetic gut core that produces warm tones with a generally clear projection. 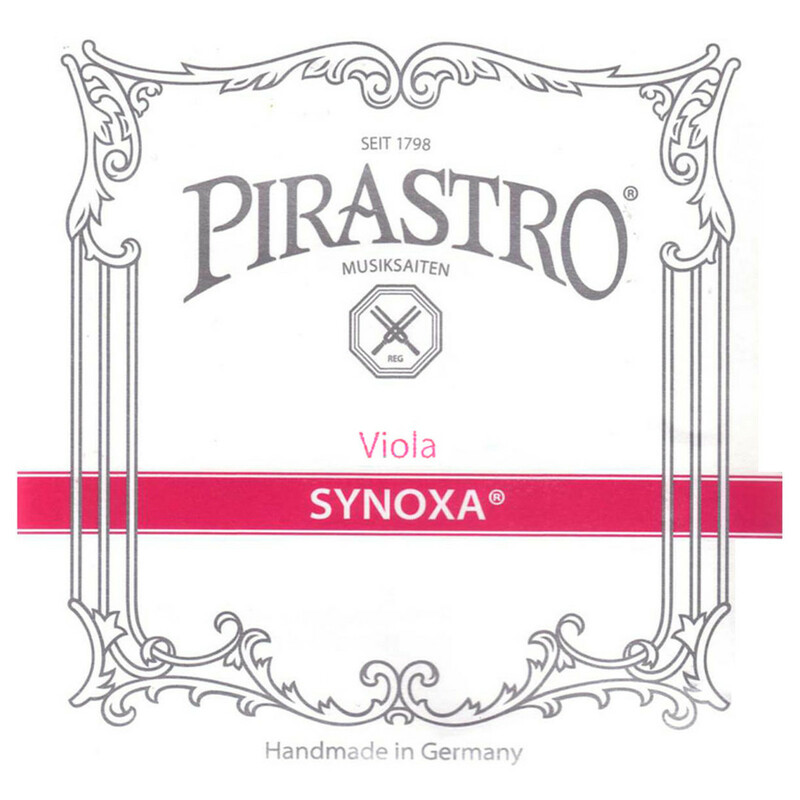 The Synoxa strings respond accurately to your finger style, making them ideal for progressing your individual technique. The C string is wound with silver for a controlled resonance on your bass frequencies. This C string has a ball tailpiece end and is designed for full size violas. The Synoxa string series offers reliability in sound and feel. The strings are made from a nylon core which has a similar sound and versatility to gut. The material is insensitive to temperature and humidity changes, making it ideal for gigging musicians who need reliability in a variety of live settings. The strings are ideal for musicians who want a traditional sound with modern reliability. All strings feature a ball end.